In the same lines as System Events. Is there a better alternative to More System Events? 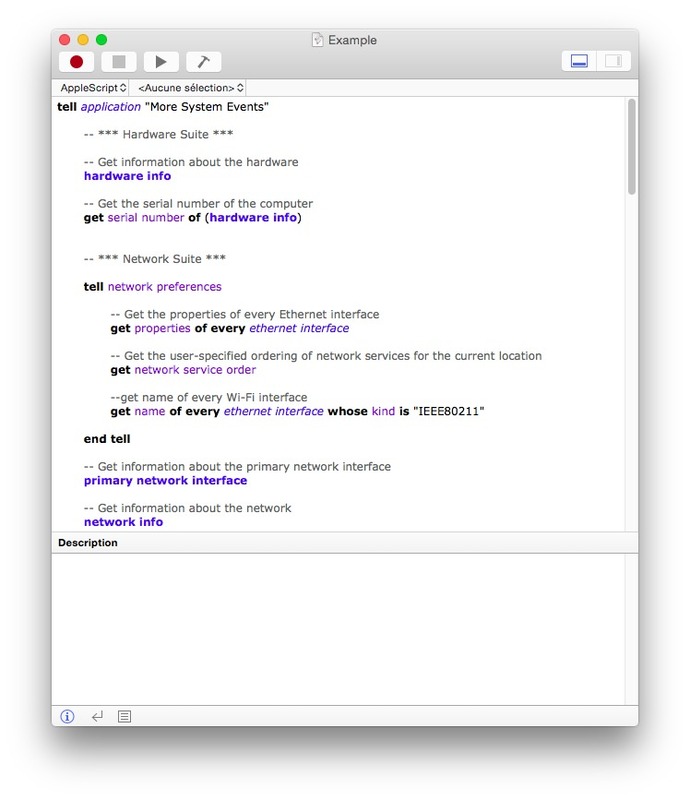 Is More System Events really the best app in AppleScript category? Will More System Events work good on macOS 10.13.4? Hardware Suite - Terms and Commands for viewing hardware settings. Network Suite - Terms and Commands for manipulating and viewing network settings. Wi-Fi Wireless Network Suite - Terms and Commands for manipulating and viewing wireless network settings. IEEE 8021X Network Suite - Terms and Commands for manipulating and viewing 802.1X network settings. Updated for OS X 10.10 Yosemite. More System Events needs a rating. Be the first to rate this app and get the discussion started!